Anyone visiting Korea will find a wealth of unique and delicious dishes. Rice continues to be a staple of the Korean diet with meals being rounded out by a variety of vegetables, meat and fish. 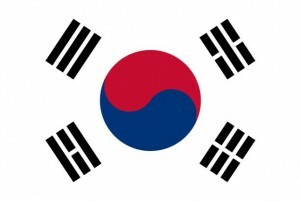 Of course it isn’t necessary to visit Korea to sample its flavorful fare. 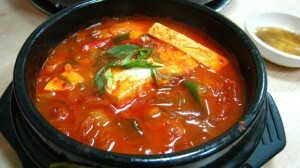 There are many local restaurants specializing in the distinct spicy flavor of Korean cuisine. The number of side dishes included in a Korean meal was traditionally dependent on the class of people who were eating. Not including rice and soup, a high-ranking family might have up to twelve side dishes, while a lower class family might have three. At a traditional Korean meal, all the dishes are served at the same time and are shared, except the rice and soup. Chopsticks are the main utensils, with spoons used for soup. Unlike Japanese or Chinese chopsticks, Korean chopsticks are thin and made of metal. Table settings follow formal rules that change depending on what main dish is served. Fermentation is a key process in Korean food preparation. When food is fermented it is allowed to mature, improving its taste and nutritional value. Fermentation also allows food to be stored longer. Soybean paste, soy sauce, chili paste and fermented fish sauce are all foods representational of the traditional Korean fermentation process. A food’s flavor will vary depending on how long it is fermented. The process can take a few days or more than a year. To make these two traditional items soybeans are soaked in water and boiled until completely cooked. Once cooked, the soybeans are mashed and formed into lumps to dry. To ferment, the dried soy is placed in salt water with dried red chili and hot charcoal. The charcoal removes impurities during the process. The beans are left to soak for up to three months. After this time, the paste continues to brew for more than five months, while the sauce is left for another three months to develop full flavor. Kimchi is possibly the most well known Korean food. Touted for its nutritional value, it is also full of enticing flavors. To make Kimchi, salted nappa cabbage is mixed with a paste of chili powder, garlic, fish sauce, onion and radish ginger. This tasty dish is served with every Korean meal. While it is typically eaten after being fermented for a few days, some enjoy the stronger flavor of kimchi ripened for more than a year. The amount of chili powder added can vary greatly to produce different levels of spice and accommodate different palates. As a staple of Korean cuisine, kimchi is something that Korean families take very seriously. It is common to have separate refrigerators designed specifically to ferment kimchi. The kimchi refrigerator is a relatively new technology that was invented back in mid 1990s, but has now become the most wanted household appliance for homes in Korea. Another popular Korean condiment, gochujang, is made by fermenting a mixture of salt, soybean malt, chili pepper powder, rice powder and malted barley. The spicy paste is considered evocative of the vibrant disposition of Korean people. Salted seafood is used in making kimchi and stands on its own as a flavor enhancing condiment. 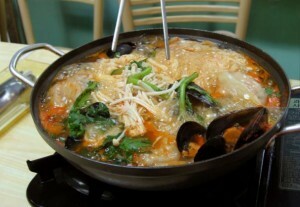 Jeotgal is made by mixing salt with an array of seafood such as shrimp, oysters or clams. Once mixed, it is left to ferment in a dark, cool place. As with many fermented foods, the longer jeotgal is allowed to ferment the tastier it becomes. A Korean rice cake is any sticky cake made from powdered rice that has been steamed or boiled and pounded into different shapes. These cakes may be served as part of a meal, but are more traditionally presented as part of a celebration such as a birthday, wedding or holiday. While rice is the main ingredient, fruits, nuts and other grains may be added for enhanced texture and flavor. Tteoks have traditionally been given symbolic meanings and are prepared and eaten according to what event is being celebrated. White steamed rice cakes are made for an infant’s first birthday as a symbol of long life. Red bean and rice cakes are enjoyed when a new business opens because the color red was understood to repel evil forces. Half-moon shaped cakes made from rice and stuffed with a honey, soybean and sesame mixture are eaten to celebrate the 15th day of the eighth lunar month. Korean noodles come in a variety of styles and have many symbolic meanings. Wedding guests are commonly served banquet noodles in an anchovy broth. This dish is so closely tied to the idea of a wedding that to ask “When will we eat noodles?” is understood to mean, “When is the wedding?” These noodles are also often eaten at birthday celebrations because they symbolize long life. This dish refers to a Korean meat dish. Bulgogi is made by grilling shredded beef after it has been soaked in sweet soy sauce and spices. This is a rare Korean meat course, as Korea is known more for its vegetable dishes. This dish is gaining in popularity inside and outside of Korea as people around the world develop an appreciation for Korean fare. Ready to try some Korean cuisine? Reach out to me for recipes or information on any of the information in this post. Click Here to contact me.